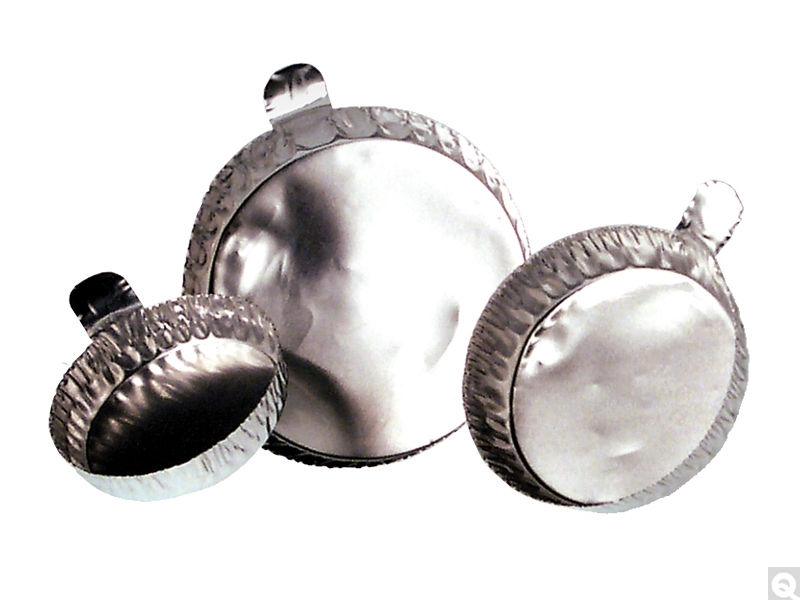 Disposable Aluminum Weighing Dishes can be used as evaporating dishes, dust covers or balance pans. Avoid contamination problems; these weigh dishes have no oil residue or vinyl coating. These crimped wall dishes feature increased rigidity and large tab. Great for routine weighing and moisture testing, as well as an embedding mold. Disposable weigh dishes are also ideal for dispensing, sampling and mixing.